Sherri Cohen is a Vice President and Director at Bonhams in the Trusts and Estates Department in New York. She has a broad range of legal and art market expertise developed over decades in helping clients negotiate the sale of personal property at auction and in private sales. Before joining Bonhams, Sherri served as Chief Underwriting Counsel at an A-rated art title insurance company, where she led the due diligence and legal analysis on hundreds of millions of dollars of complex global art transactions. Previously, Sherri worked at a New York state agency helping claimants to recover their family’s property which was lost, looted or sold under duress from 1933 to 1945 due to Nazi persecution. Sherri started her career as an Associate at a large international law firm. She worked in their Washington, D.C., London and New York offices on litigation, antitrust, art law and corporate matters. Sherri is qualified to practice law in New York as well as a Solicitor qualified to practice law in the United Kingdom. Sherri is a member of several art and legal organizations including the New York City Bar Association Trusts, Estates & Surrogates Courts Committee; Brooklyn Museum of Art Elizabeth A. Sackler Council for Feminist Art; Estate Planning Council of New York City; STEP (Society of Trust and Estate Practitioners); PAIAM (Professional Advisors to the International Art Market) and New York-Historical Society Planned Giving Advisory Council. She is also a member of her alma mater Emory University’s Emory College Alumni Board. 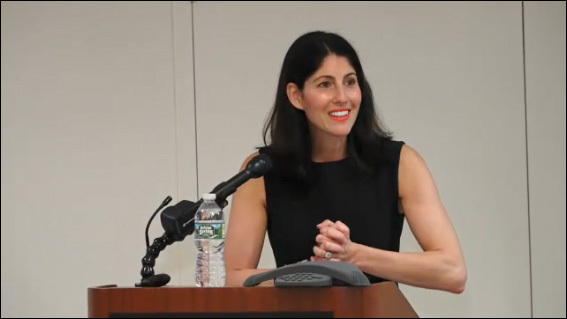 Sherri is a frequent speaker on art market issues including ownership, valuation and authenticity and has spoken before legal bar associations, museum groups and academic institutions in New York, New Jersey and London. Sherri earned her undergraduate degree with a double major in Art History and Political Science from Emory University in Atlanta, Georgia, followed by a law degree from American University Washington College of Law in Washington, D.C. Sherri lives in New York City with her husband, two daughters and Bernese Mountain Dog.